Spain is not an easy country to import a motorcycle into. But perseverance has paid off for the four guys at La Corona Motorcycles. 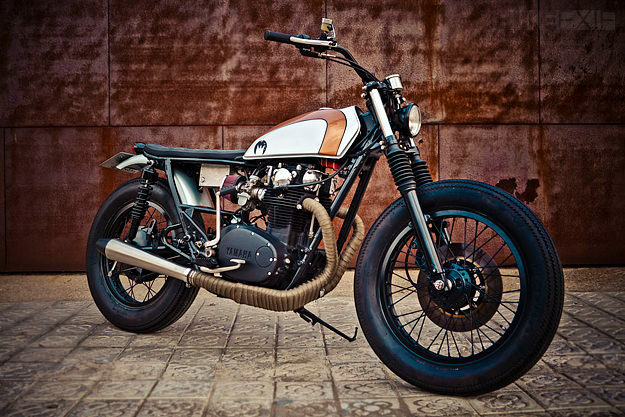 After months of paperwork and weeks of wrenching, they have a sharp XS650 cafe to be proud of. 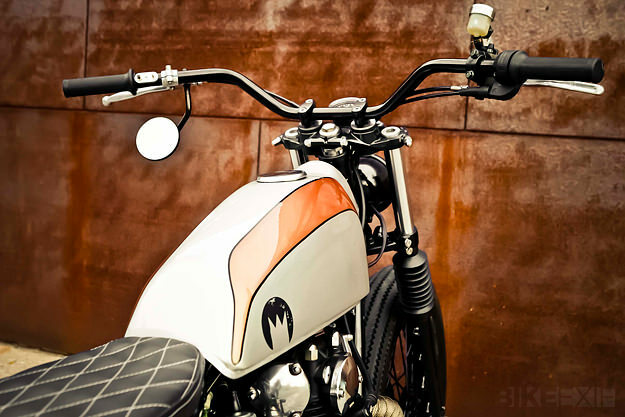 It’s a classic commuter custom, stripped back and spruced up, rebuilt in the style becoming increasing popular in mainland Europe. The XS650 was completely stripped down to the last nut and bolt. The rear subframe was chopped back and slimmed down, and the chassis modified to take a narrower tank. Dirt track bars replaced the stock items, aiding maneuverability around tight city streets. The starter motor was removed, and electronic ignition fitted to make kick starting easier. The stock air filter was upgraded to a free-flowing pod filters, and the air-cooled twin now breathes out via a custom 2-to-1 exhaust system. The front suspension has been fettled with progressive rate springs, and the bike rides on a fresh set of vintage tread Firestone Champion Deluxe tires. 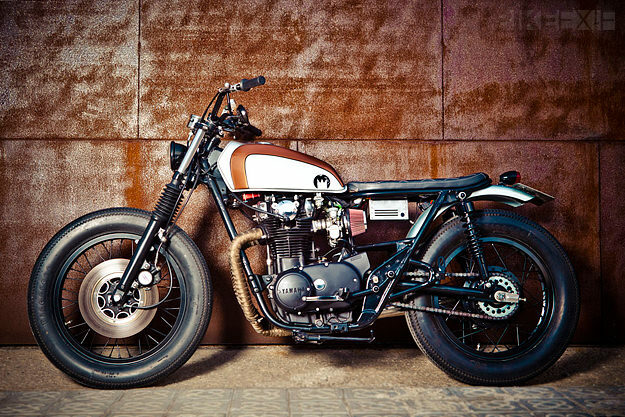 Not surprisingly, this XS650 has already been sold. It’s the perfect short-blast bike, nimble and quick, and well-suited to the tight streets of sunny Barcelona. 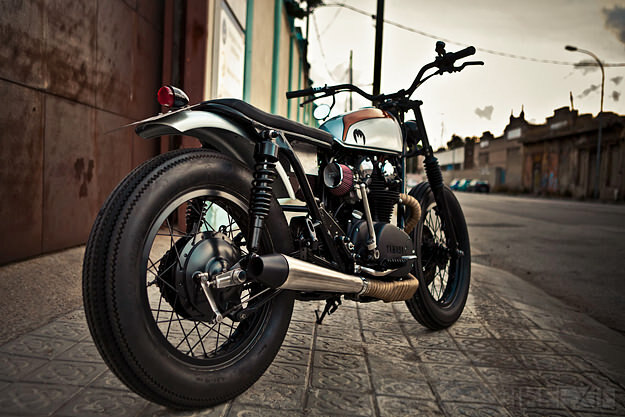 But La Corona has three more cafe-themed customs in the works: KZ400 and Z650 Kawasakis, and a BMW R100 RS. Keep an eye on progress via the La Corona website.